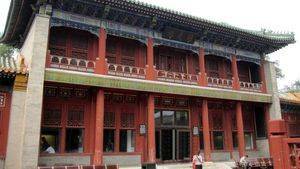 The Qianlong Palace occupies a large rectangle of the northeast corner of the Forbidden City. Built by or for the emperor Qianlong, it is not contemporary with the rest of the palace. It forms a coherent set of gardens and pavilions and thus constitutes an independent city in the palace. This area is very dense, there are many pavilions that are adjacent. Gardens have been created between, which makes it pleasant to walk around. 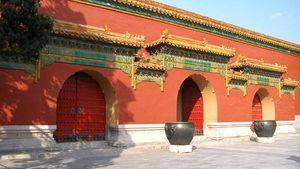 The door of blessings is the gateway between the Qianlong Palace and the eastern annexes. 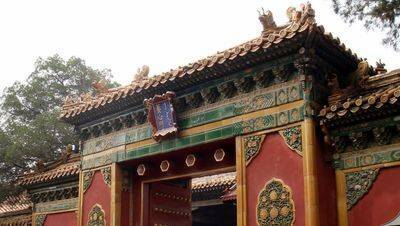 Behind the door is the Gate of Imperial Supremacy and the famous decoration of the nine dragons (Jiulong bi), while in front is the Archery Pavilion (Jian Ting). The gate of imperial supremacy is the first internal gate to Qianlong Palace, it is the gateway to the palace complex of quiet longevity (Ningshou Gong). This complex was built in 1771, the thirty-sixth year of Kangxi's reign (1662-1722). 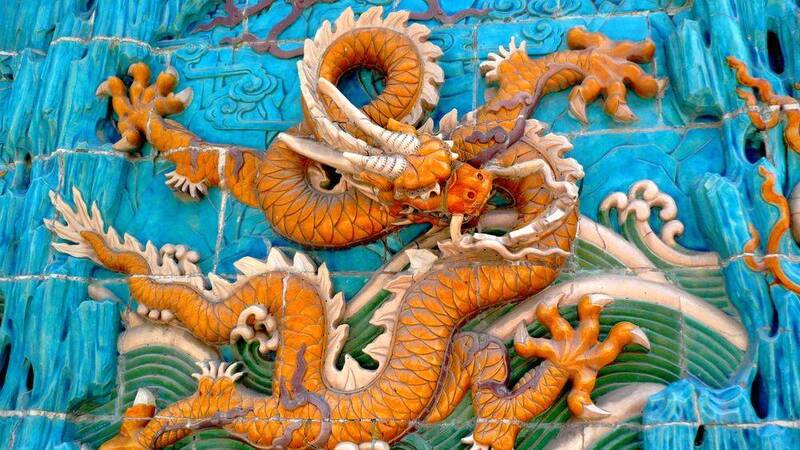 On the opposite side of the door of Imperial supremacy is the decoration of 9 dragons (Jiulong bi), a large wall made of ceramic. The evergreen trees and cypresses are planted along the east and west sides of this gate, in a sort of double square. Composed of main arch, secondary arches and side arches, this door was built as a bridge. Its great momentum, its unique structure and its exquisitiness give it the title of the most beautiful gate of the forbidden city. 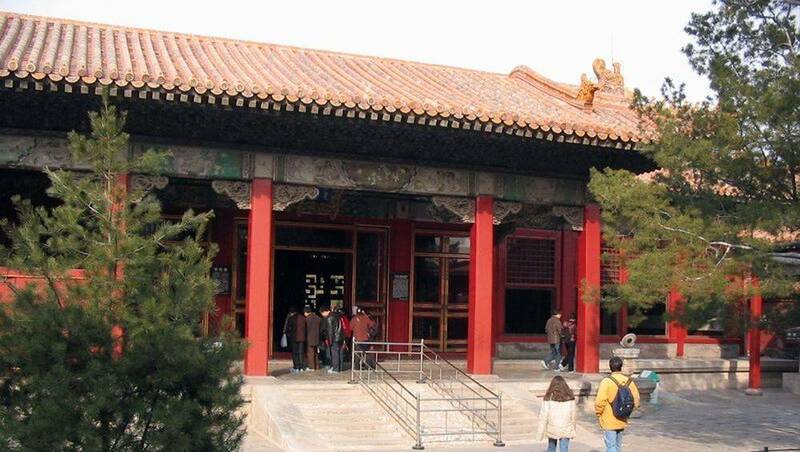 This is the pavilion serving as entrance to the Palace of Longevity Tranquil, the main gate of the complex. 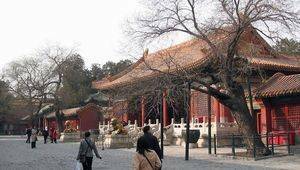 It is a relatively large pavilion and also a fairly long yard where is the wall of the nine dragons. North of the Tranquil Longevity Gate is the Palace of Imperial Perfection, a nine-wide-wide building with a double-pitched roof. This is the place where the Imperial Regent, the Emperor's father, received ministers and officials. Just like the Palace of Quiet Longevity, it is used as an exhibition gallery of Chinese paintings. It is a palace that stands on the north-south axis of the central part, at the front of the complex. 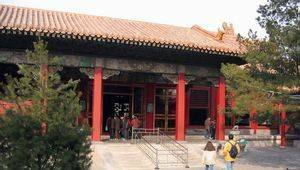 To get there, one must first go through the gate of quiet longevity (Ningshoumen), then cross the palace of imperial perfection (Huangjimen). The Palace of the Tranquil Longevity is a structure with seven arches wide and three deep with a single roof. It has a room in the west in which the preparation of sacrificial rites took place. Today, the Palace of the Tranquil Longevity, as well as the Imperial Perfection Pavilion, has been transformed into a fine art exhibition hall of the Palace Museum, which has more than 100,000 paintings dating back to the Jin Dynasty ( 265-420) at the end of the Qing Dynasty (1644-1911). Each year, new paintings are chosen from this large collection for display. 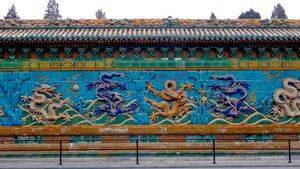 On the south wall of the Imperial Perfection Gate stands a wall named "the wall of the nine dragons", which is the largest and best preserved of the three famous walls of the Nine Dragons of China. Oriented to the north, it measures 29.40 m long and 3.50 m high. It was built in 1772 under the reign of Emperor Qianlong, the entire scene on the wall depicts nine moving dragons playing with pearls on a scenery of sea and cloud. 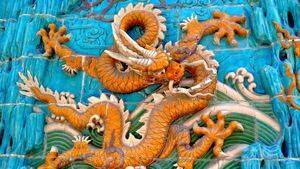 Made in high relief, the dragons were painted yellow, blue, white and purple. Yet one of them, in the center, is yellow and purple, and yellow being the royal color it could not be joined to another. The wall is composed of 270 glazed tiles. The number 270 can be divided by two and five nine. Nine is the largest odd number, while five is in the middle of odd numbers. In ancient China the figures nine and five symbolized the supremacy of the emperor. It is said that the center of the third white dragon was broken when baking in the oven, which was the death assured for the artists compromised in this work. Despite the risk, a carpenter volunteered to replace the original with wood and made the sculpture and painting overnight. Thanks to his talents and his courage he saved the sculptors. Nowadays we can still find traces of this repair on the third dragon, from the left. 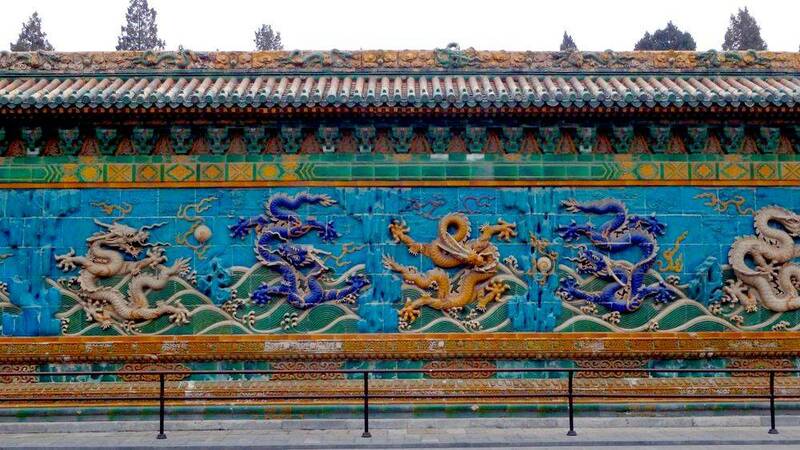 This wall dates from 1774 and was built during the 38th year of the reign of Emperor Qianlong. Let us remember that it was this emperor who built the palace bearing his name in the north-east corner of the forbidden city. East of the Spirit Culture pavilion is the Pavilion of Pleasant Sounds (Changyinge). 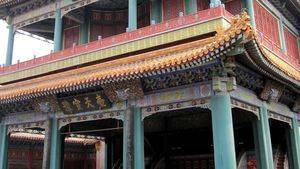 It also dates from the period of Emperor Qianlong, this pavilion having been built at the same time as its neighbors between 1772 and 1777. It is a theater, one of the particularity of which is to have a stage at 3 levels. So it's a tall building, though it's not that big. 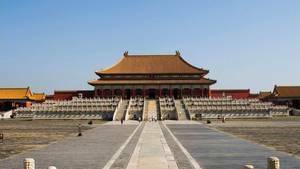 It is however the largest of the Forbidden City. 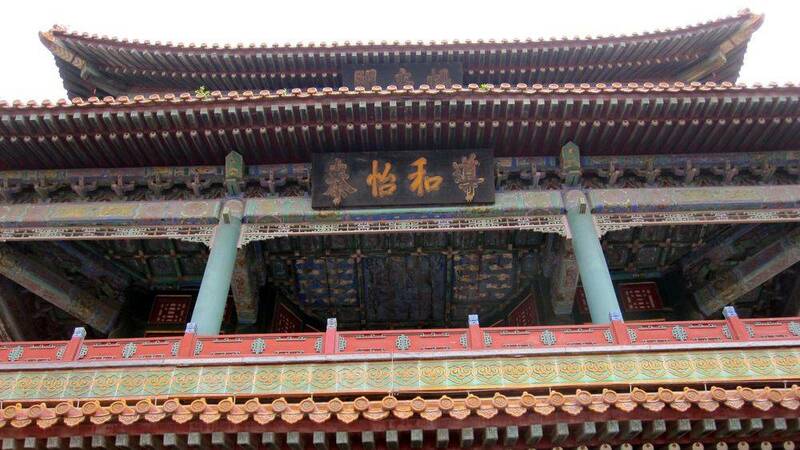 It was restored in 1802 then in 1891, where it got its present appearance, under the reign of Jiaqing. The finishes of this building are quite successful, especially the eaves. The three levels were exploited by the actors thanks to an ingenious trap system which allowed them to go from one level to another very quickly. It is placed on a pedestal 1.2 meters high, all stone, and measures 20.71m high for a total area of ​​685.94 square meters. The upper part is called "scene of happiness" (Fulou), that of middle "stage of wealth" (Lulou) and that of low "scene of longevity" (Shoulou). Comedy is universally appreciated in the world. The Chinese emperor doing a daily hobby. He went to see the plays played for him in the company of the Empress and the concubines, and went into the opposite building, which served as a lodge: The Opera House (Yueshilou). The themes discussed in the rooms of the Forbidden City involved Buddhist dignities against the Taoist immortals, in a permanent confrontation. Nowadays this pavilion contains silk costumes, accessories (headdresses, weapons, banners ...) and the repertoires used by the imperial troupe. There are also drawings showing the ten days of festivities that followed the 60th anniversary of Qianlong and Cixi. The Opera House, named Yueshilou in Chinese, is a rectangular one-piece building in the north-eastern part of the Forbidden City, in the area of the palace of the Tranquil Longevity. It is a building on one floor and 5 arches wide, with blue glazed tile roof. Nowadays this pavilion offers the exhibition "Opera at the Qing Court", every day of the year. This pavilion served as a lodge for the Emperor, his wife and his concubines. Arranged in front of the Pavillon des Sons Plages, where the plays were played, the Pavillon de l'Opera had been built at a proper distance from its neighbor. So we have the audience room and the stage, face to face. The ladies of the Court and the ministers could attend the shows from the corridors in the secondary buildings, west and east. Built in 1772, the 37th year of Emperor Qianlong's reign (1736-1795), the Pavilion of Spiritual Culture is an imitation of the smallest Hall Pavilion of Realized Spirits (Yangxindian) with a special layout. With three arches wide and four deep, the room is a structure with a single yellow roof. It was originally decorated with Hexi-style paintings and decorations. 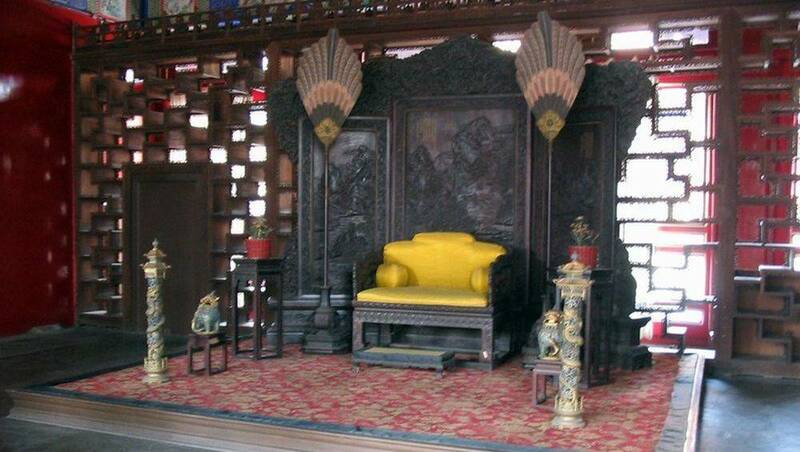 After its restoration, during the 17th year of Emperor Guangxu's reign (1875-1908), the decorations and paintings were all changed in the Su style except those of the Inky Cloud House (Moyunshi). The Temple of Spiritual Culture was the father's room of the emperors. When Empress Dowager Cixi lived in the Joyous Longevity Hall during Guangxu's reign, she would have breakfast and dinner in this room. The Spiritual Culture Pavilion is now a master bedroom with utensils, tea sets, bribes and gold, silver or jade cups, etc. There is also a set of 16 gold bells that is essential for great occasions. It seems all different, it's because they have not all been made with the same alloys. This pavilion has a imperial throne, relatively simple although the decoration of his screen is very successful. To the north of the Spiritual Culture Pavilion is the Temple of Joyful Longevity. It is a creation of 1772, restored in 1802 and rebuilt in 1891. The width, on which is the entrance, makes seven arches and the depth three. There are corridors all around. In meters, the total width is 36.15m and the depth of 23.20m, the building covers an area of ​​839 square meters. It has a yellow glazed tile roof and its general architecture is typical of the Qianlong period. The ceiling is made of wood carvings, giving the room an impression of grace and luxury. This pavilion is rather spacious. Qianlong having planned to retire there after his retirement, he was to be renamed "House of Reading" (It must have been a kind of office, for him). But since he never really retired, this room has kept its original name. 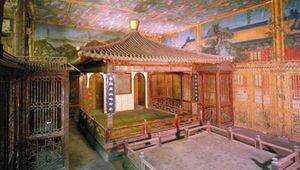 In 1894, Dowager Empress Cixi, after ostensibly handing over power to Emperor Guangxu (1875-1908), lived in this pavilion, sleeping in the western heat chamber. The celebration of his 60th birthday also took place in the Joyous Longevity Room. The Temple of Merry Longevity is now the 2nd exhibition hall. It mainly displays objects related to the daily life of the imperial household, such as Emperor Qianlong's imperial robe, the phoenix crown used as a burial object, and an invaluable ivory carpet made of delicate ivory strips. , woven about 250 years ago. 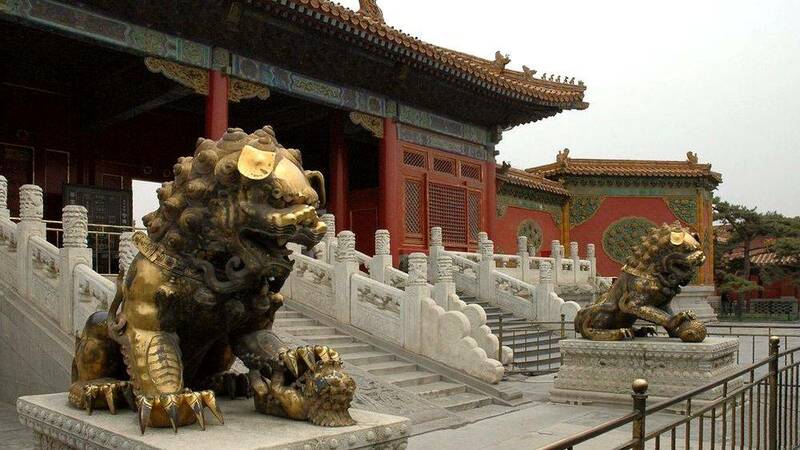 The largest jade sculpture of the Forbidden City was also placed outside, just at the northern gate of the pavilion. Weighing more than 5 tons, the jade was mined in Xinjiang, and brought to Beijing, then to Yangzhou, where it was cut up. Ten years passed before the final sculpture returned to Beijing. The work of jade is so delicately done that this statue is a treasure of the nation. The belvedere of harmony and well-nourished was erected in 1772 and restored in 1802 and 1891, like the other buildings of this palace. Standing north of the Temple of Joyful Longevity, it measures seven arches wide and one deep. A sundial was placed on the left side of the platform, before the belvedere. On both sides of the belvedere there are corridors whose walls are stone. The Belvedere of Well-Nourished Harmony is now the third exhibition hall, showing ornaments of gold, silver, jade, precious stones, coral and many other minerals. It is located in the western part of the Palace of the Tranquil Longevity. It was conceived in four parts, linked from south to north. Each of these parts represents a particular atmosphere. The first contains the pavilion of Ancient Flowers (Guhuaxuan) surrounded by rocky hills and tall old trees, as well as the small circular pavilion of Vin Accordant (Xi Shang Ting). In the second part there is the Pavilion of Realized Spirits (Suichutang), a closed enclosure with buildings on three sides, a main building facing south and a few lateral chambers to the east and west. In the third part one can enjoy the beautiful mountain scenery as well as the Sanyouxuan pavilion. Going further north, one arrives at the fourth and last part of the garden which contains with the Pavilion of Auspicious Waiting (Fuwangge), a labyrinth-like structure that the main architecture. 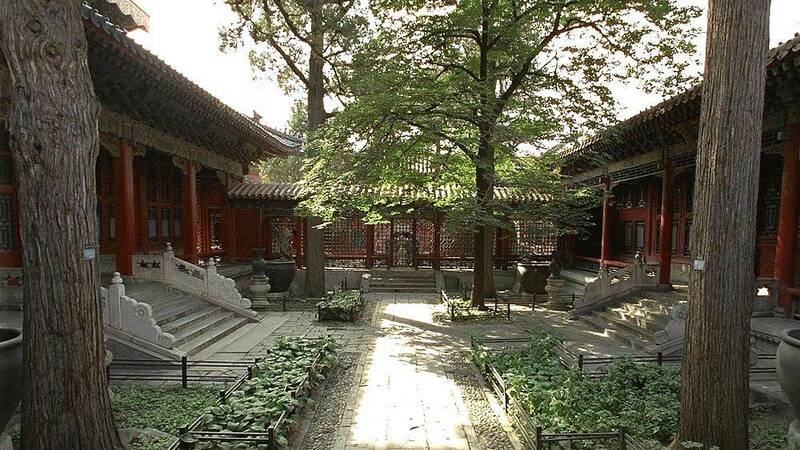 Apart from these main buildings the gardens also host some secondary buildings, such as the pavilion of the Beautiful Landscape (Cuishanglou), the chamber of the Exhaustion of the service Diligent (Juanqinzhai), as well as the well of the Concubine Zhen (Zhengfeijing). The Pavilion of the Waiting for the Good Ages was built in 1772. Square in shape, it seems to have two floors but in fact it has three. The interior decoration is quite specific. The place has been divided into several decorative styles quite deftly. Chances are you get lost during your visit, hence its name "mysterious building". During the reign of Qianlong (1736-1795), the emperor offered meals to ministers and officials here on the 21st day of the 12th month of the lunar year. Emperor Jiaqing (1796-1820) wrote poems for him. As this is the highest architecture of the Qianlong Garden, it offers an overview of the beauty of the landscapes inside and outside the Forbidden City. 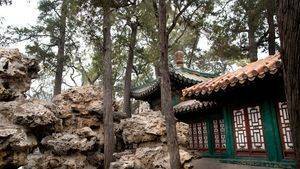 At the northern end of Qianlong Garden, next to the Waiting for Auspicious Pavilion, is the Zhen Concubine Well. This well has a story. In 1887, the thirteenth year of the reign of Emperor Guangxu (Qing Dynasty, 1877-1908), the latter introduced Zhen, a new concubine, to Dowager Empress Cixi. But this woman, very powerful, did not appreciate it. Zhen supported the Emperor's political reform, so the Empress made sure that the reformation was overthrown to justify the separation of the emperor from all the concubines having supported it. So the empress could take power and ordered that Zhen be confined in the small courtyard behind the Jingqi room to prevent him from seeing Guangxu. In 1900, the Allied army attacked Beijing. The Dowager Empress then ordered Zhen to be thrown into the well in the small courtyard, but despite the intervention of Eunuchs, she managed to hang on to the nearby marble column. It took a particularly strong man to do the job, and once Zhen at the bottom of the well a heavy stone was set up for the butcher. It was not until a year before concubine Jin, Zhen's sister, could get the body out of the well and bury it normally. She built a kind of mausoleum, right next to the well, it's called Zhen Concubine House. After four springs and so many autumns, I decided to live here. Thereafter I will enjoy good leisure and be happy in this place, forever. This pavilion is traditional, has the specific architecture of ancient buildings for purification ceremonies. The idea is that it contains a kind of river in which leaves are floated on the leaves, filled with wine, so they drift away. The ceremony consists of catching cups and drinking wine to be purified. It is a very old tradition that takes place on the third day of the third lunar month. In his writings Wang Xizhi (303-361) explains the ceremonial and makes a description of the one that took place in 353. The interest in remaking this ceremony was to evoke Wang's memory. By placing the Pavilion of the Purification Ceremony in a prominent place near the entrance to the garden, the Emperor scholar Qianlong put forward his spiritual knowledge as well as his competence in literature. The Gate of spiritual cultivation leads to the pavilion of the same name. It is relatively large, with a facade of 5 bays whose two extremes are walled. The pediment is as often painted with bright colors based on blue. This door is especially remarkable for the two bronze lions that are lying down. 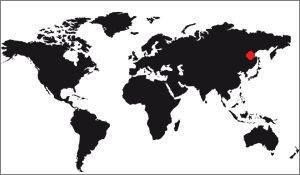 We recognize that they are lions and not lionesses by the fact that they have a globe under their feet. To access this door, you have to take one of the three stairs leading to it. The fragrance collection pavilion is located in Qianlong Garden. The terrace for collecting morning dew is in Qianlong Garden. 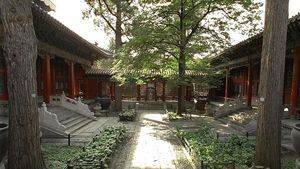 The house of propriety is located in Qianlong Garden. The gate of the favorable extension is in Qianlong Garden. The restraint studio is located in Qianlong Garden. 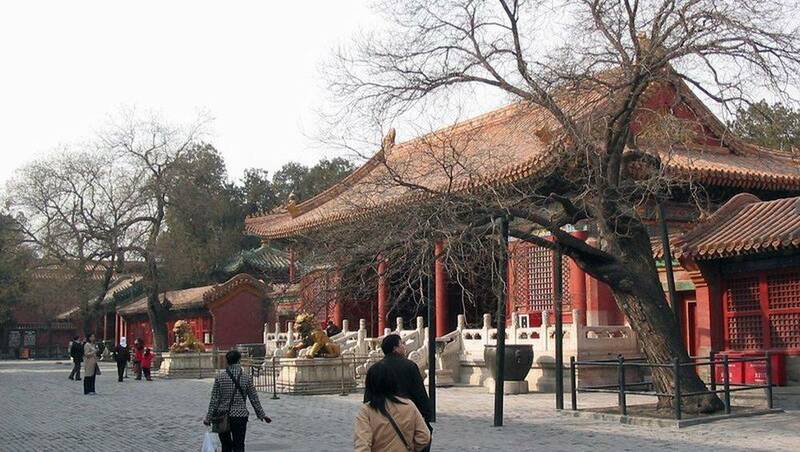 The kiosk of the old catalpa is located in the garden of Qianlong. It has a tent-shaped gable and hip roof. It is the wooden ceiling that catches the most attention, it is carved with hundreds of flowers. In the center there are three horizontal inscriptions and a pair of verses written by Emperor Qianlong (1736-1795). In front of the pavilion we find an old tree, a catalpa, hence the name of the kiosk. This gazebo is at the North-East corner of the Forbidden City, in Qianlong Gardens. This well is located in Qianlong Palace. He has a story that refers to the concubine Zhen, thrown into the bottom of this well which had sealed the entrance. He could not be unsealed a year later. 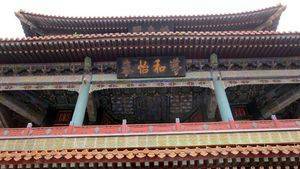 This building is located in Qianlong Gardens, at the North-West corner, in his palace which was his retirement home. This pavilion was built in 1772, its interior and exterior walls are covered with paint reproducing wisteria. There were also painted bamboos, they merge with the real bamboo growing just under the pergola. The Belvedere View of Achievement (Fuwang ge, in Chinese), is located in Qianlong Gardens, in the northeastern part of the Forbidden City. This kiosk is in Qianlong Garden. This pavilion is in Qianlong Garden.